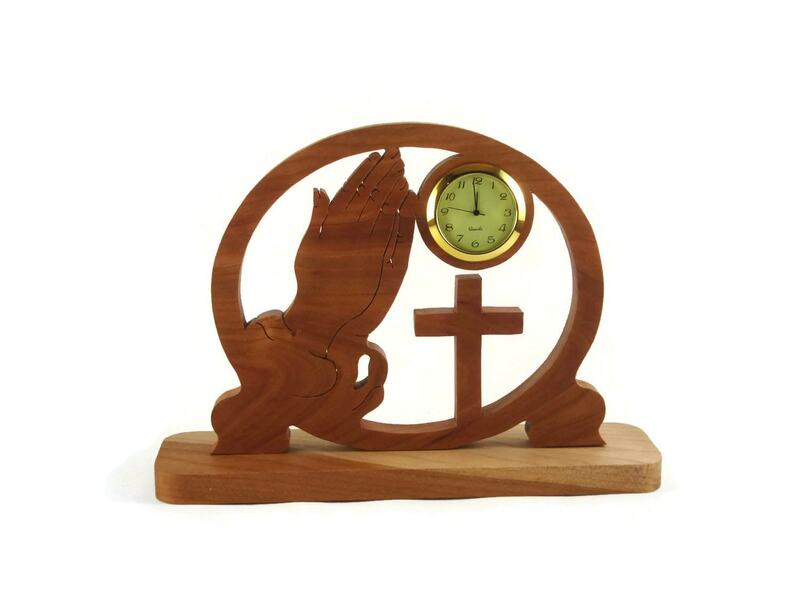 This praying hands with cross desk clock was handmade using a scroll saw. 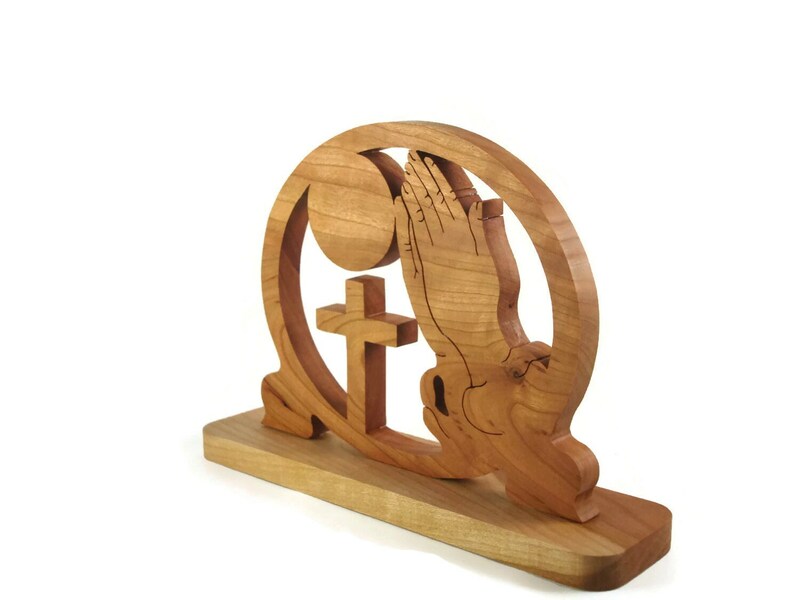 The beautiful pattern of the wood grain really enhances this piece. 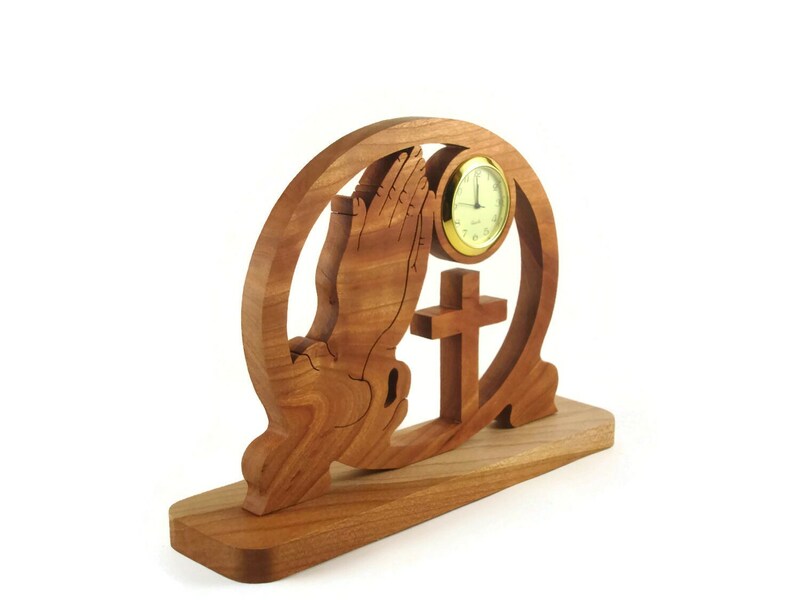 KevsKrafts carefully hand selects lumber for each piece made for the best look as shown here with this praying hands clock. 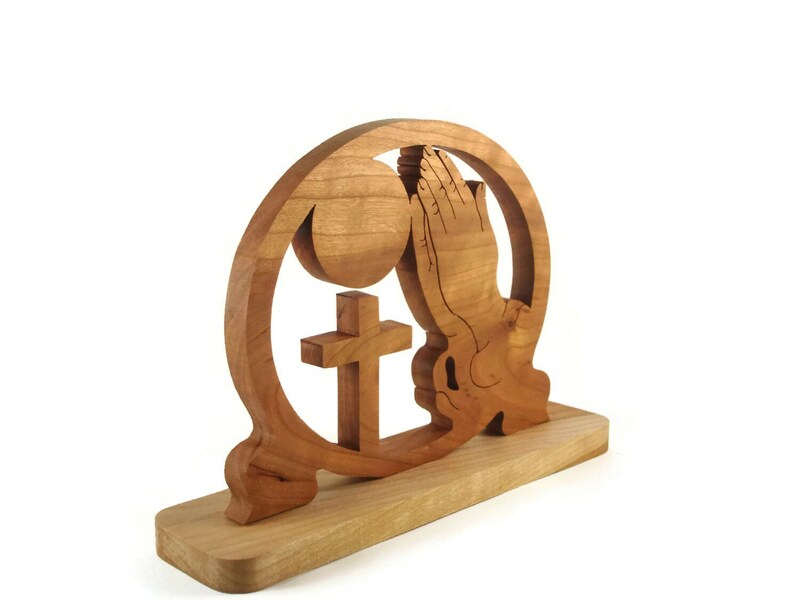 This praying hands with cross clock features praying hands on the left side leaning toward a cross that is on the right side. All of this is encased into a oval shape. 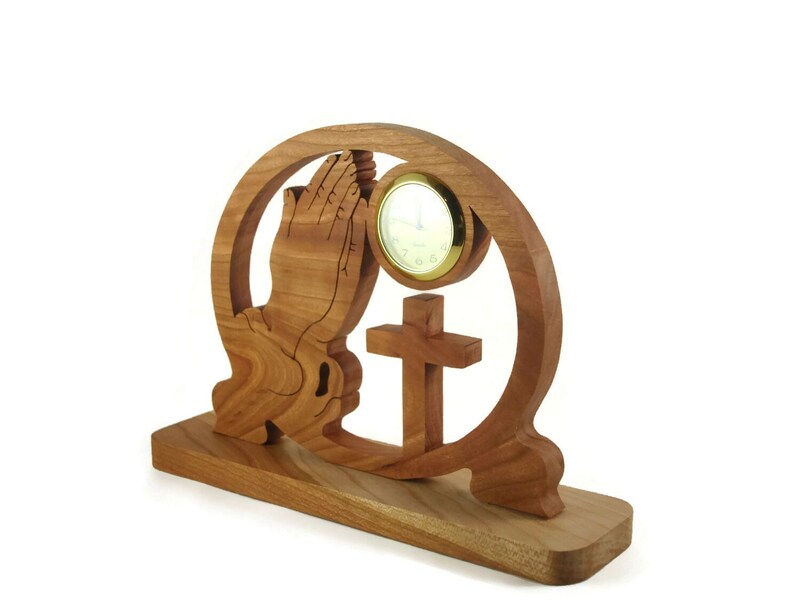 At the top and above the cross is the timepiece, a 1-7/16 inch quartz clock insert. The clock has a white face with Arabic numbers and a gold plated bezel / trim. 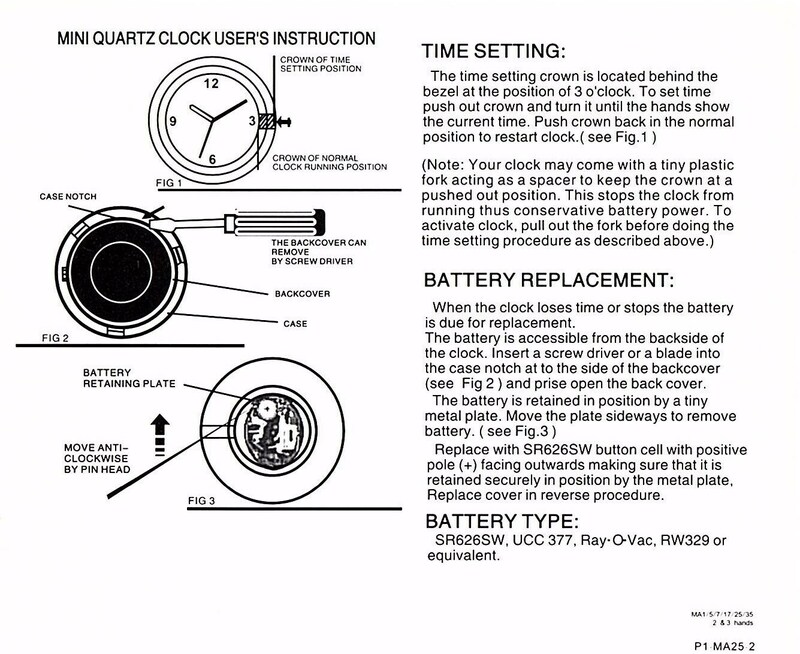 Clock comes with battery installed and is ready to be activated.